There’s no shortage of opportunities for clients at Beverly Hills, Calif.’s House of Polish to memorialize their visit with a selfie. The “photo booth” — which is essentially an iPad on a stand — takes three pictures of clients as they wait for services and adds the House of Polish watermark to them. “We do this so individuals or groups can post them on social media. The platform allows them to send photos directly to Facebook, Twitter, or email,” says House of Polish owner Robert Nguyen. 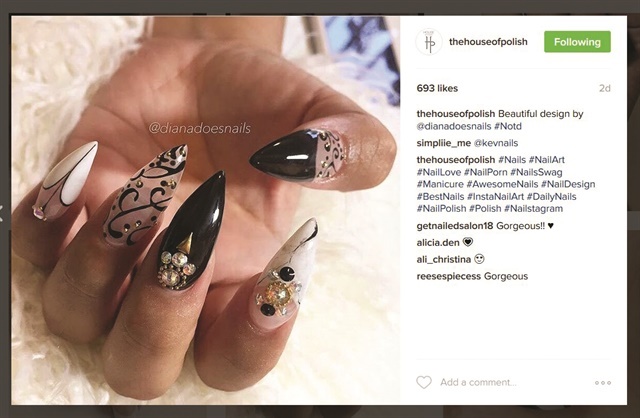 The purpose of all of this snapping, says Nguyen, is twofold: to help build content for the salon’s social media efforts and to foster client interaction. “Of course social media has the ability to reach millions of people, but without the photos it’ll reach no one,” he says.